Once space is militarized, the Space Force could—is intended to—destroy any or all of the thousands of satellites in space for communications, science, and all sorts of worthwhile things. Causing trillions of dollars of direct and indirect damage. But that’s far from the only thing that Space Force would do. Like any military organization, the purpose is to kill people and destroy property. This news reminds me of the conversation we had a few weeks ago about the so-called “Rod from God.” That, again, is basically a tungsten rod, a foot in diameter and 20 feet long, that can be dropped from orbit. It would use only kinetic energy, so there’s no radioactive fallout. But it would be ultra-accurate, ultra-fast, ultra-stealthy, and as devastating as a small nuclear explosion. Ever since the days of the cavemen, warriors have striven to control the high ground—and space is the ultimate high ground. So this is ramping up the arms race in a big way. And I don’t see how you can stop it. Governments get in wars with each other for a living; it’s their raison d’etre. It’s been that way for thousands of years. No different from Game of Thrones, to use an analogy that’s more meaningful to the average sports fan. So, the fact that they said they wouldn’t militarize space long ago meant nothing. It sounded good because nobody was in a position to do it. The cat’s out of the bag now. Justin: How might other countries respond to this? Do you think they’ll announce plans for their own Space Forces? Doug: Unquestionably—if they can get hold of the technology. You’ve got to look at who’s space-capable. The Russians are very space-capable. Now that the US has acted, they’re almost forced to do it as a simple matter of self-defense. The Chinese are also space-capable. So, they’ll do it as well. The Indians are becoming space-capable. And, of course, the Europeans. Soon we’re going to have two, three, many different forces in space. 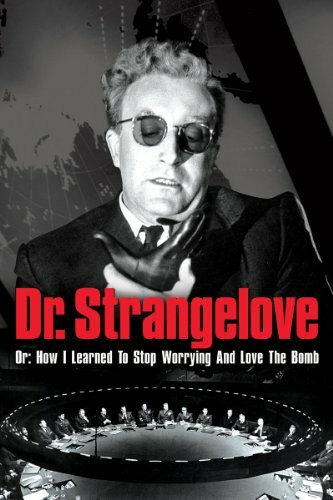 It reminds me of the excellent Stanley Kubrick movie Doctor Strangelove, which is totally brilliant and one of my top ten favorites. It’s about the start of World War III. You may recall that in the early ’60s, when it’s set, there was said to be a “missile gap” between the Soviets and the Americans. In the War Room, the Americans are discussing a gigantic megabomb the Russians have set off, and that there’s no way to survive but to hide in mine shafts. One general reflexively says, based on nothing, “Mr. President, we must not allow a mineshaft gap!” So the Americans shift their efforts from building nuclear missiles, which are now worthless, to digging mineshafts—in order to ensure the survival of high government officials. This is just the way these things happen. Somebody does A and somebody else has to do B to counter A. Then somebody else does C to counter B.
It’s part of the human condition. One group of chimpanzees around the watering hole discover that they can use sticks to brain their opponents. Then, chimpanzees on the other side of the watering hole figure how to put a rock at the end of the stick to make it more effective. Another group, watching them, decides sharpening the rock will give them a further edge. It becomes a question of who will strike first, while they’ve still got the edge. That’s exactly what’s going to happen in space, now that Donald has decided to act as the Sorcerer’s Apprentice, in a vain hope to MAGA. The situation will only escalate, the way the nuclear arms race did. Fortunately, we seem to have dodged that bullet… maybe. This race could be much more deadly. But, as I said, it’s completely inevitable. At least until we change the basic human psyche, and clear it of its numerous aberrations. Or perhaps purge humanity of psychopaths, narcissists, and criminals. Or defang the institution of government, which naturally attracts those types. You have to remember that history is mainly a catalog of wars between governments. So, there’s nothing to be done about this. Even if Trump doesn’t create a Space Force first, because the US Government is already bankrupt, the Chinese, Russians, Indians, or Europeans will do it. There’s no way out. Justin: I can’t imagine that a Space Force will come cheap, either. Doug: Of course not. This will evolve into another bloated military bureaucracy, that’s for sure. The Space Force is going take up lots more office space, full of cubicle dwellers. They’re going to hire scientists and engineers that would otherwise be creating useful things, not destructive weapons. The Space Force generals will lobby against the other five services, and the 17 or so Praetorian Agencies like the FBI and the CIA, for hundreds of billions of dollars’ worth of new resources. This won’t be good from an economic point of view. Frankly, I’m not sure the government’s even equipped to handle this. After all, it’s not like they have much in the way of launch facilities anymore. They’re no longer in a position to launch—they had to subcontract to the Russians not long ago. American capability has largely been passed over to the private sector—which is a good thing. NASA, which is supposedly a civilian agency anyway, is not what it used to be in the ’60s. It’s just another bureaucracy—it’s like the Post Office with rockets and telescopes. So, I imagine that they’re going to have to outsource a lot of this to the two US space exploration companies, SpaceX and Blue Origin—who will then become as corrupt and cost-plus as any other military contractor. I’m very concerned by Trump’s wanting to spend more money on the military—which already almost equals that of all the world’s other militaries combined—when he should be cutting military spending by 50% to 90%. It’s very provocative. And will help bankrupt the US. But it frankly won’t matter how much money Trump spends on any of this. That’s because the Chinese economy is going to be three times bigger than the US economy in 20 years. Wars are won or lost based on economic strength. How do you fight an adversary that’s triple your size? You can’t, unless you’re writing a fairy tale. Or, at least, you’re an idiot to try. It would be very much like the Japanese trying to compete against the US in WW2. Not likely a winning proposition. Recognize I’m not being defeatist in saying these things. The US could be fine 20 years from now—if it does the right things. But it’s not imitating itself from 100 years ago. Or Singapore today. It’s imitating Argentina under Perón and the Kirchners. Justin: What might the introduction of a Space Force mean for international cooperation in space? Will the International Space Station and other joint efforts like this fall apart? Doug: That’s a problem, isn’t it? Countries will probably stop cooperating on projects like the International Space Station once they start to view each other as military adversaries in space. It’s not like you’d expect the Americans and the Chinese to do joint military exercises together today, or even scientific cooperation. The Americans and the Russians cooperated in space a few years ago. But once you militarize space, the odds are about as good as their doing joint military operations together in the Ukraine. They’re antagonists. And that atmosphere will transfer itself to space when we have Space Forces. It’s not a good trend. It’s not going to win the US any friends, or stem its decline.